Paintings of wild animals and humans unearthed on cave walls in Croatia are up to 34,000 years old, according to new research. They depict wild bison, goats and perhaps even humans – and are among the oldest artworks known. A flint tool, fragments of charcoal an an ochre ‘crayon’ that date back half as long – to about 17,000 years ago – were found nearby. Traces of the reddish-brown clay has been found on the rock art of prehistoric people around the world. The images were found on the west coast at Romuald’s Cave, named after a local saint, where many animal remains have been found. These include those of giant Ice Age beasts such as the cave bear, lion, leopard and hyena. At more than 300 feet long, it has a narrow and tall entrance widening into big, impressive spaces up to 25 feet high. Corresponding author Dr Aitor Ruiz-Redondo, of the University of Southampton, said: “The importance of this finding is remarkable. 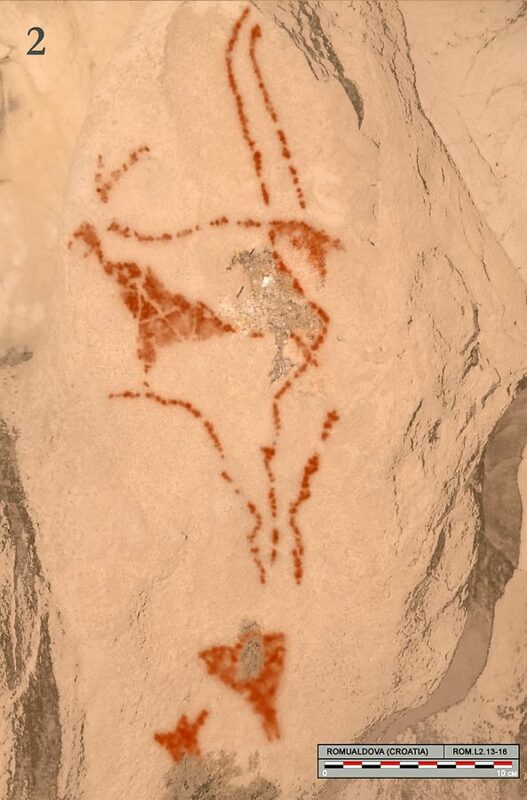 It is the earliest example of Palaeolithic figurative paintings found in this region of eastern Europe. Dr Ruiz-Redondo said: “Rock art is key for understanding European Palaeolithic societies. 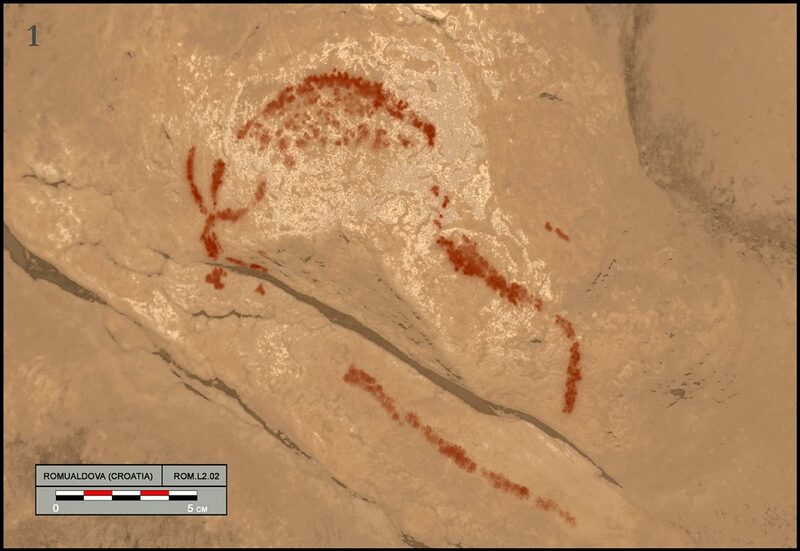 The cave art was first discovered in 2010 when Darko Komso, director of the local Archaeological Museum of Istria, noticed the existence of the remains of a red colour in a deep part of the cave. Now an international team led by Dr Ruiz-Redondo has undertaken a detailed analysis of the paintings and their archaeological context. 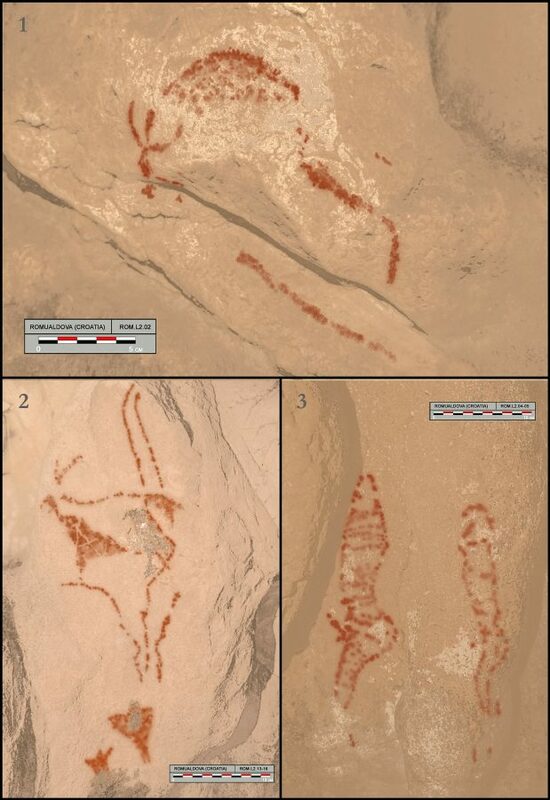 This led to the identification of several figurative paintings including a bison, an ibex or wild goat and two possible human figures, confirming their age. 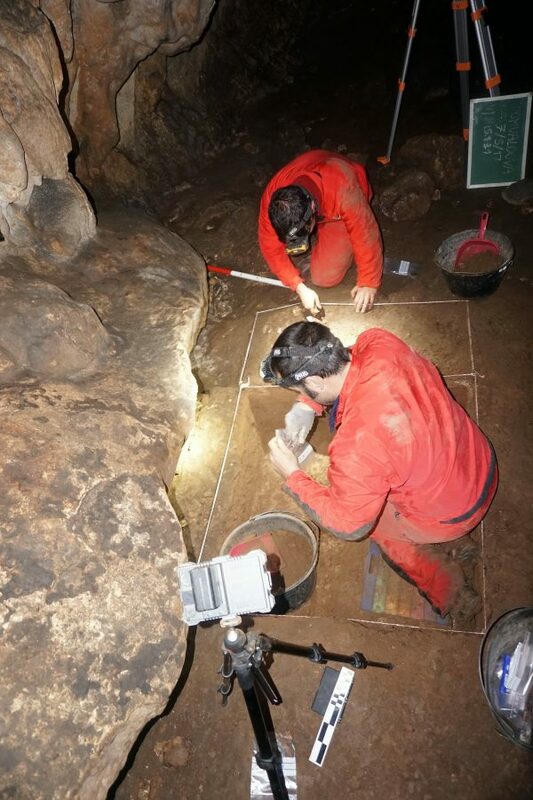 Furthermore, an excavation made in the ground below revealed a number of remains from the same Palaeolithic era including the flint tool, ochre crayon and several charcoal pieces. Ochre is a reddish-brown clay, traces of which have been found on rock art created by prehistoric people around the world. Radiocarbon dating estimated these objects as about 17,000 years old. Indirect data suggest the paintings date to an even earlier period – 34,000 to 31,000 years ago. The study published in Antiquity expands the so far sparse register of Palaeolithic art in south east Europe. It makes Romuald’s Cave the first site where it has been discovered in this area. Further research will be conducted in the next few years to establish the precise age of the rock art. The oldest rock art – a smudged red disk on a cave wall at El Castillo in Spain – was painted at least 41,000 years ago. Breathtaking charcoal drawings of horses and rhinos at the Chauvet caves in the Ardeche in Southern France are at least 30,000 years old.